The world is too competitive. Just having a good education is necessary but not sufficient for success. Creativity and innovativeness are critical for future success. Creativity is tied to one’s unique talent. Without talent in a particular area, it is impossible to be creative. Apple founder Steve Jobs did not graduate from university and Alibaba founder Jack Ma may not be academically accomplished. By traditional education standards where success is synonymous with good grades, they have both failed! Yet they are successful figures in their field today because they were given the opportunity to realise their unique talents. At ChildFirst, we cultivate your child’s unique talent through our Multiple Intelligences (MI) curriculum based on Harvard University Professor Howard Gardner’s research. Your child will be engaged in over 100 MI activities every year that are designed to continuously exercise your child’s mind and strengthen his/her unique talents. Harvard University Professor Howard Gardner’s famous Theory of Multiple Intelligences (MI) states that every child has eight types of intelligences. 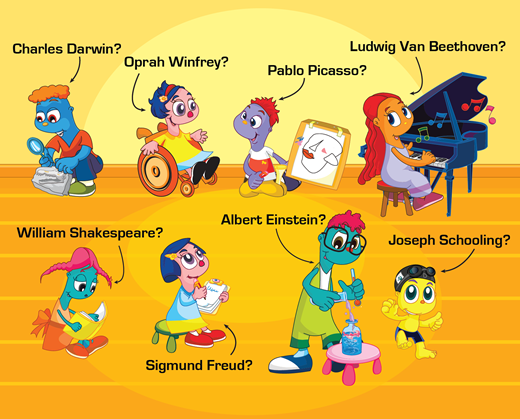 You may be able to identify some of your child’s intelligences. Bodily-Kinesthetic Intelligence is about whole-body and fine-motor co-ordination. Dancers, athletes and craftsmen excel in this intelligence. Interpersonal Intelligence involves sensitivity to both verbal and non-verbal communication. Good personal and working relationships are built using this intelligence. Intrapersonal Intelligence is about self-awareness. Recognising your own strengths and weaknesses helps in planning your life. Linguistic Intelligence is about being word-smart. Thinking, speaking and writing are expressions of this intelligence. Reasoning and recognising patterns and relationships are key aspects of this intelligence. Musical Intelligence is evident in people who are responsive to pitch, melody, rhythm and tone. Naturalist Intelligence is the ability to use all senses to observe details. Spatial Intelligence is the ability to think in three-dimensional terms and often involves an active imagination and visualisation. Our muscles get strengthened with regular exercise. Similarly, your child’s intelligences develop with regular exercise. As a result, their dominant intelligences become stronger and their weaker intelligences can also be awakened. At ChildFirst, we have 100 MI activities to exercise their intelligences every year (different ones for each age group). These 100 MI activities are grouped under 10 themes with one theme per month. Here are some examples of our themes. Each of the 10 MI activities within a theme is designed to exercise certain intelligence(s). For example, in “The World of Animals” theme, an animal story would be used to develop their Linguistic Intelligence. Another activity to use their body to act out various animal movements would develop their Bodily-Kinesthetic Intelligence. A craft activity using recycled materials to make an animal of their choice would develop their Spatial Intelligence. Singing an animal song and making various animal noises would develop their Musical Intelligence. Observing animal videos followed by a field trip to the zoo would develop their Naturalist Intelligence. Raising funds and deciding which animal conservation funds to donate to would develop their Interpersonal and Intrapersonal Intelligences. Grouping animals into various types (such as land, sea and air or the number of legs) would develop their Logical-Mathematical Intelligence. At ChildFirst, our MI curriculum makes learning fun for all kinds of children!